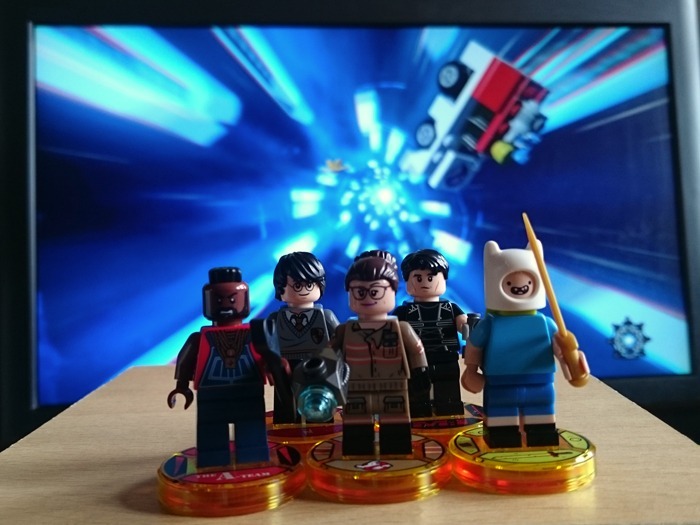 To say that we were excited about the launch of LEGO Dimensions wave six would be something of an understatement. Since the introduction of wave one last year, our Xbox has had little rest. Dylan and Xander absolutely love it and, sometimes, Kate and I get to play it too. We were recently sent the entire new wave for review. I love my job! If you’re new to LEGO Dimensions, you’ll need to get hold of the starter pack for your console of choice. 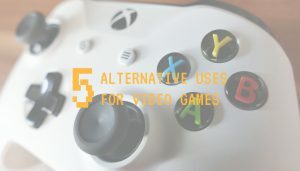 This is because it includes the toy pad and disc as well as Batman, Wyldstyle, Gandalf and the Batmobile. Between them, they have certain abilities that are needed in the Ghostbusters 2016 story. You will also need an internet connection for the new area of the game’s map – aka The Shard – to be added. This should update automatically when you load the game for the first time. 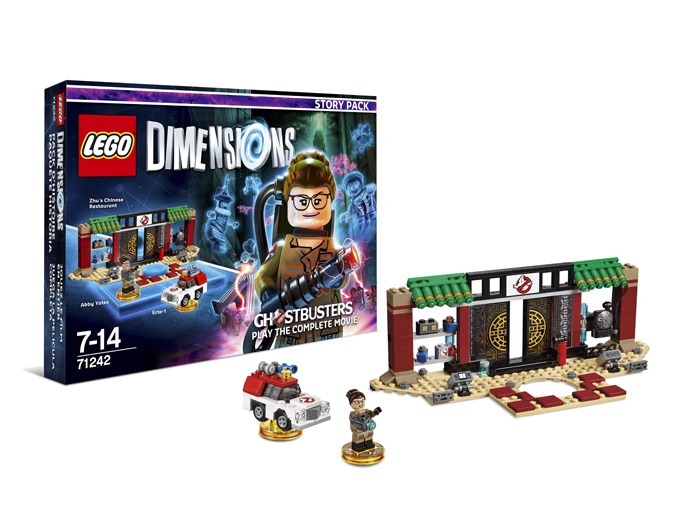 The headline act of LEGO Dimensions wave six is a Ghostbusters 2016 story pack . It contains Abby Yates, Ecto-1 and a new gateway to build on the toy pad. The story itself allows players to play through this year’s film with LEGO’s own brand of humour complementing the source material nicely. 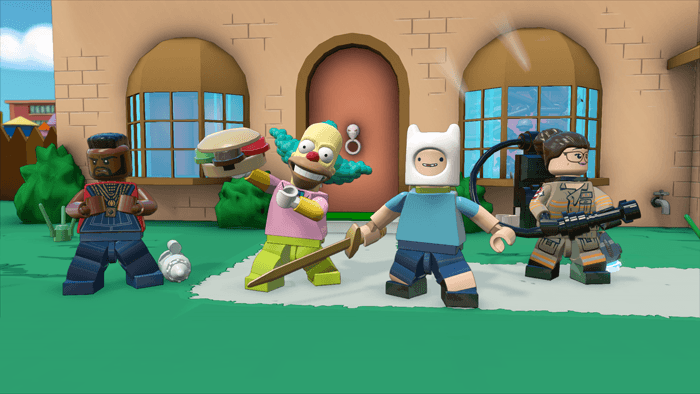 There are also level packs for Adventure Time and Mission: Impossible, team packs for Harry Potter and Adventure Time and a fun pack for The A-Team. That’s quite a lineup and plenty more game hours to boot. Also new this year are Battle Arenas. These are great fun! Up to four players can participate in one of four modes – Capture the Flag, Base Bash, Objective or Tick Tag Boom. What’s more, the UK edition comes with commentary from Brian Blessed. Pitch perfect casting! Jake the dog from Adventure Time is by far the most versatile character so far. 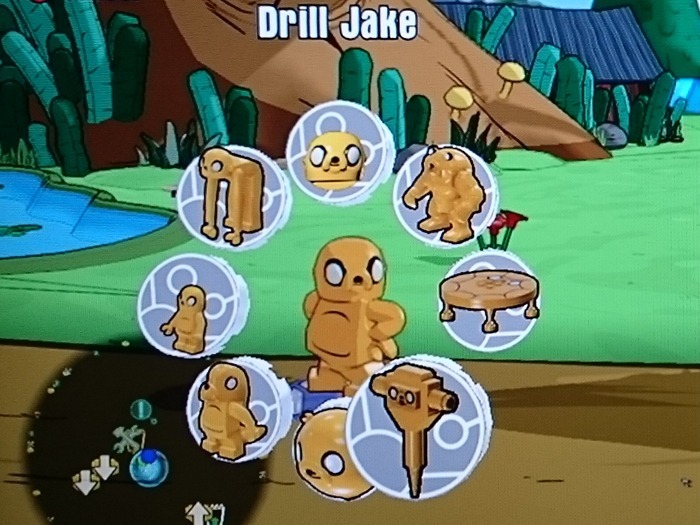 Thanks to a selection wheel that can be activated while playing as Jake, you can transform him into various weird and wonderful incarnations. These include Drill Jake, Dolphin Jake and Trampoline Jake. 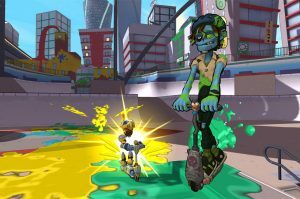 In turn, these unlock extra abilities, including some that were previously exclusive to other characters. If you’re in two minds about which team pack to get, I thoroughly recommend this one . You also get Lumpy Space Princess who has a few abilities that you may not already have, including the utlra-rare rainbow brick blowup. To be honest, we knew what we would think of LEGO Dimensions wave six the moment we saw the trailer. 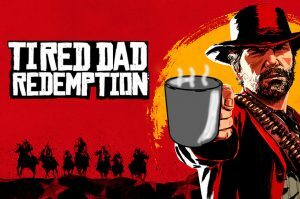 It has been a big hit with everyone so far and the new characters add even more fun to what was already a vastly entertaining game. The interaction between new and existing characters is up there with earlier waves too. The new adventure worlds are, of course, welcome additions – I’ve really enjoyed The A-Team one in particular – and the appetite for waves seven to nine has been well and truly whetted. I’m SO looking forward to Gremlins and The Goonies! LEGO Dimensions wave six packs start at £12.99.